Westport Little League softball playe Chloe Chapler takes a swing at a pitching during the District 2 final on Sunday, July 5, 2015 against Fairfield. Westport won 2-1 to win the title. Rocking high socks with stars across them, the Westport Little League softball team has already had a successful summer. A 2-1 win over Fairfield in the District 2 final on Sunday extended the group’s season, and hopes are high a long run is possible. Westport will participate in divisional play starting Wednesday against North Branford, the town that knocked Westport out of the tournament last year. The teams will compete with New Canaan for a shot at the state tournament. Though inexperienced in pressure-packed games, Westport pulled out a 1-0 win over Fairfield in 10 innings last Wednesday before winning the winner-take-all match 2-1 in nine innings. In the three-game series with Fairfield, Westport only scored three runs. It was enough because pitcher Sophia Alfero was in a groove. Alfero walked just two batters in 25 innings and struck out 11 in the decisive game. 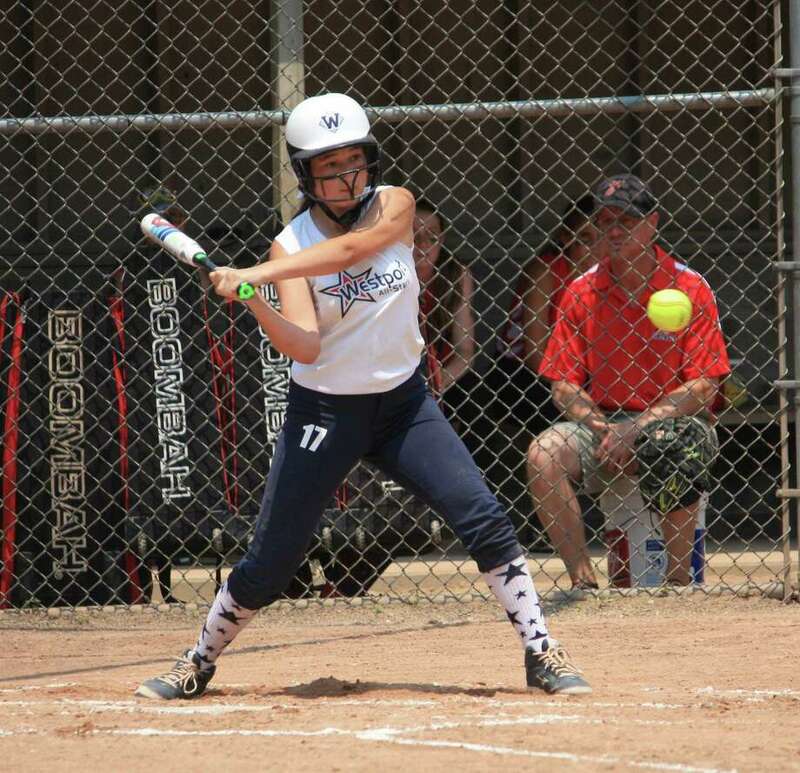 She pitched against 12-year-olds last summer and the extra year of experience is paying off for Westport. Maisie Dembski had the game-winning hits in both victories for Westport, and also catches for Sophia Alfero. Aydan Moskowitz, Sonia Trinkle, Reilly Caldwell and Charlotte Porzio have led the defensive charge. With the pitching and defense in order, the sky could be the limit if the bats come alive in the next round.